Microsoft is hoping to revolutionize the way that companies use messaging service Line to promote their products, with the help of an artificial intelligence program last seen posing as a high school girl. Line users were wowed by the appearance late last month of Rinna, a “schoolgirl” operated by Microsoft whose life-like interactions and quirky sense of humor charmed many into forgetting she was just a computer program. Young men nationwide professed their undying love for the character — whose profile picture shows a girl in school uniform with her back to the camera — as more than 300,000 users became “friends” with her in the first week alone. But behind the surface lies a powerful technology that Microsoft hopes can help companies find a deeper engagement with Line’s more than 200 million estimated global users. Currently, Line users become “friends” with corporate accounts to acquire stickers, with companies sending the users promotions and information about their products in return. According to Ken Sano, senior business development manager at Microsoft’s Bing International Business Development, users are growing tired of one-way marketing campaigns. 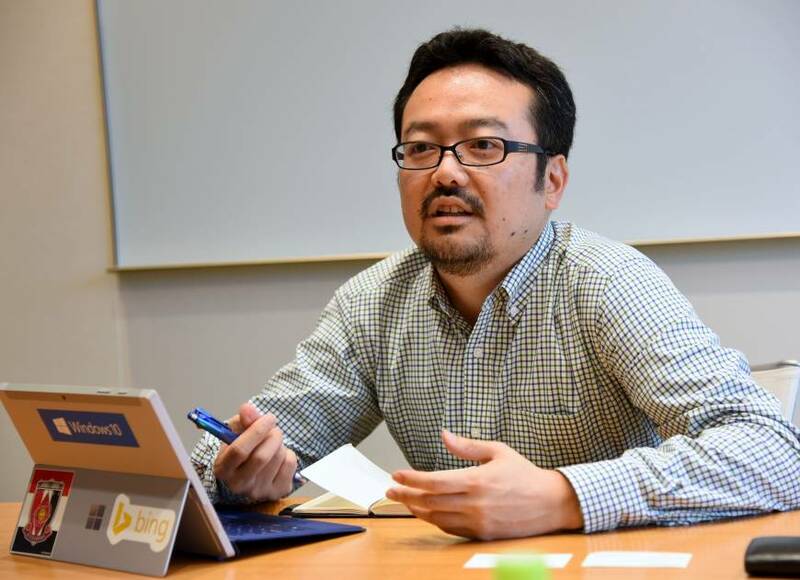 “When a brand wants to push certain sale information or promotions on Line, they can do it through their official account,” Sano told The Japan Times at Microsoft Japan’s Tokyo headquarters. “But at some point, the users really don’t like these notifications too much. Rinna works by mining data from Microsoft’s Bing search engine and applying it to a conversation model, remembering the content of interactions with users to build up a bank of personal data. Ask Rinna her favorite drink, and she may playfully reply: “Miso soup.” Ask her what she plans to do tomorrow, and she might tell you that it’s a secret, all delivered in an authentic schoolgirl slang and decorated with emoji and stickers. Sano says that Rinna has generated 15 times more traffic than expected following her July 31 launch, but warns that applying the same technology to business — through the Rinna API for Business platform — may not be as straightforward. “The largest question is, what kind of chat logs they already have,” he said. “In order for us to enable this, we need the data source from the customers themselves on how to respond to a particular inquiry. It really depends on the size and the quality of that log whether it is feasible or not. Such large-scale collection of personal data, however, is something that not all users will be comfortable with. 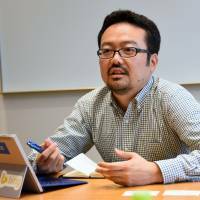 Questions of privacy are inevitably raised by Microsoft’s plan, but Sano insists that the company works within strict parameters. Rinna is not the only artificial intelligence character to appear on Line, but Sano believes Microsoft is unique in offering its technology to other companies. Sano says Microsoft is hoping to see the corporate service up and running by the end of the year. Given Rinna’s penchant for emojis, love hearts and often indecipherable slang, however, the character’s business incarnation is likely to be considerably more grown up. “Rinna is Rinna due to our limitations too,” Sano said. “This high school girl chit-chat concept is interesting to the extent that you don’t necessarily get a proper response.